It’s always refreshing to receive a translation to your work, which manages somehow to elude your own building blocks. You can be an architect and present a well thought of, well constructed building, and it is going to be a blessing, as I see it at least, to be remarked for the way each brick is pressing another brick, and not only for how impressive the monument is. Inga Margrethe Aas, Rudolf Terland Bjørnerem and Henrik Nørstebø Munkeby are indeed architects. They know exactly what they are doing and they are doing it really well. Together they form a delicate and almost spectral area of discomfort between the composition and the improvisation. My guess is that within their circles you could call this experimental music ‘Jazz’, ‘Avant Garde’ and ‘Experimental music’, but I would like to look at their great work through another set of goggles that can trace the tiny veins of dark atmosphere and drone music in their album. 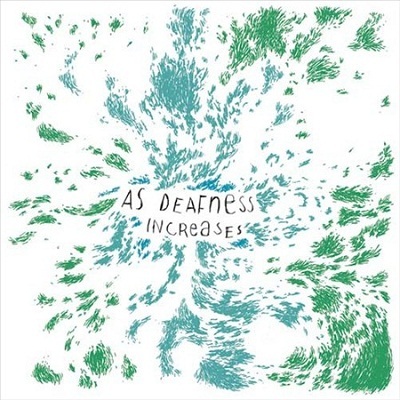 The trio behind ‘As Deafness Increases’ creates immense worlds of sound from their mind and heart, and I believe that the third track in this album is the most powerful and engaging between the four wonderful parts of this self titled work. It brings forth a deep and heavy bestial breathing drone among the ever breaking forest twigs. This scenery, created on the track “Adib” is fascinating, terrifying and mesmerizing. It continues with the last track. “Adic”, where somber trombone and guitar blows create a twisted monologue that makes you just sit and take all the heavy and beautiful litanies with nothing but awe and joy. The entire work, from the opening, 20 minutes long monument, to the last track, is fascinating both on the musical and on the emotional levels, and I while I trust that many Jazz and improv fans will love ‘As Deafness Increases’, I am also sure that open minded dark dwellers of the musical chasm will find this album rewarding as well.